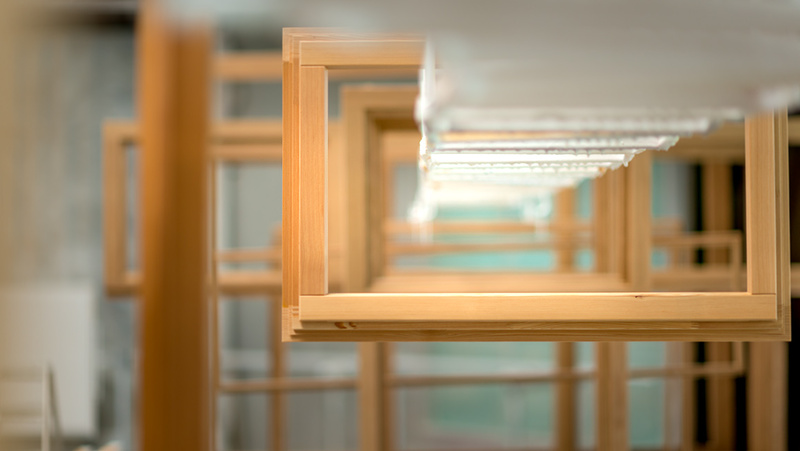 The German company, a producer of wood windows and doors, welcomes the WinLine 16 multi-centre, ready to combine functionality and aesthetics according to the desires of an increasingly demanding market. A great celebration, a toast to technology, and glasses raised to the future. It may seem strange that a company celebrate with such enthusiasm the purchase of a piece of machinery directly within its manufacturing facility, but the new arrival at Fensterbau Leopold, according to CEO Michael, deserves just that: "The new WinLine 16 is a giant step towards the future." 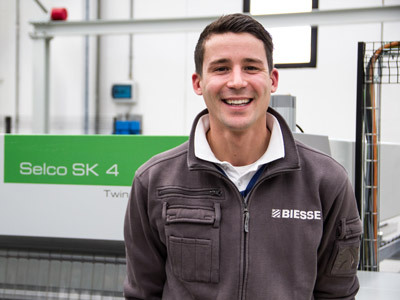 For a family-run company with deep roots in the German region of Keiner Heuberg, innovation is a force that has been passed down through generations. Founded in the 1950s, its long-standing tradition has always been accompanied by the courage to face the future with innovative projects and new ideas. I could be no other way, given the brilliant accomplishments achieved each day: an internal manufacturing process, high quality, and careful consultation with clients, in order to help them choose the best solutions, also with regard to energy efficiency. 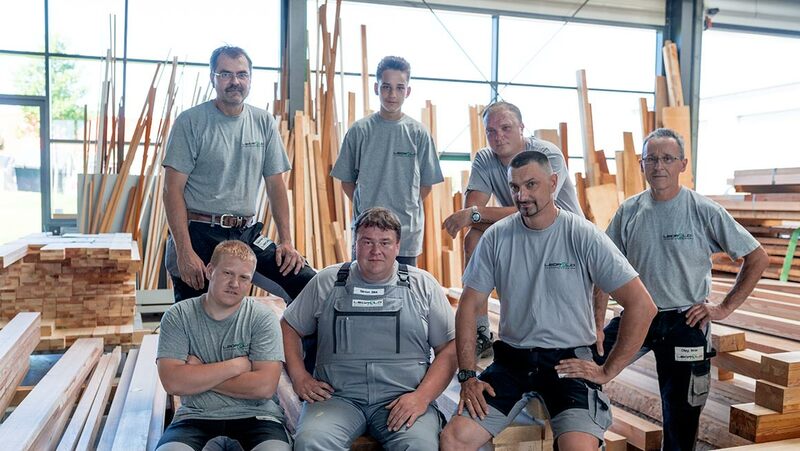 A team of 11 motivated employees support Michael who, in turn, works alongside his father, Rudi, on a product line that is made up 50% of doors and windows, even though the interior and exterior doors (which make up one quarter of the production) are an interesting focus, in addition to the production of special and complete solutions. Their vision is tied together with the use of a warm and welcoming material like wood, towards which Fensterbau Leopold works assiduously to create greater knowledge among its clients, with a phrase that immediately became a mantra: "Windows are the eyes of a home and we think they should be beautiful." That's why in 2009 a specially designed exhibition space was created, where clients (made up 80% of home builders) can not just see, but also "experience" the fixtures, getting a first hand impression of what it means to equip the houses they'll be building with such magic. 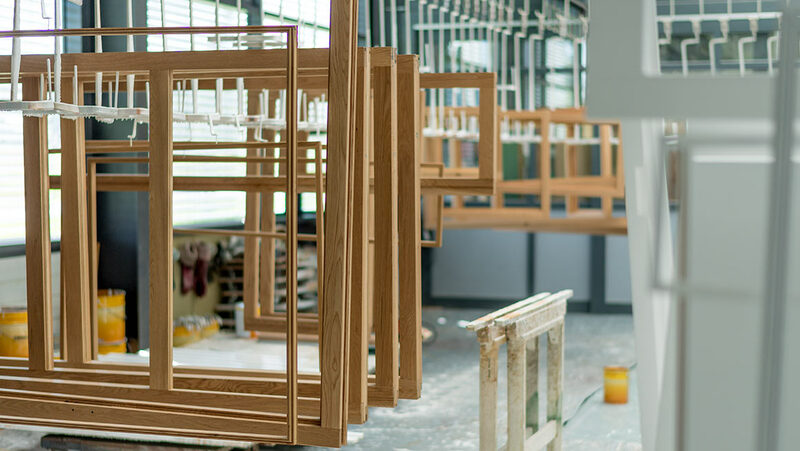 For years Fensterbau Leopold has no longer produced solely for their circle of long-standing clients, but also for numerous wood shops across the southern region who no longer have their own internal production. "Our positioning has changed considerably in recent years," explained Michael. 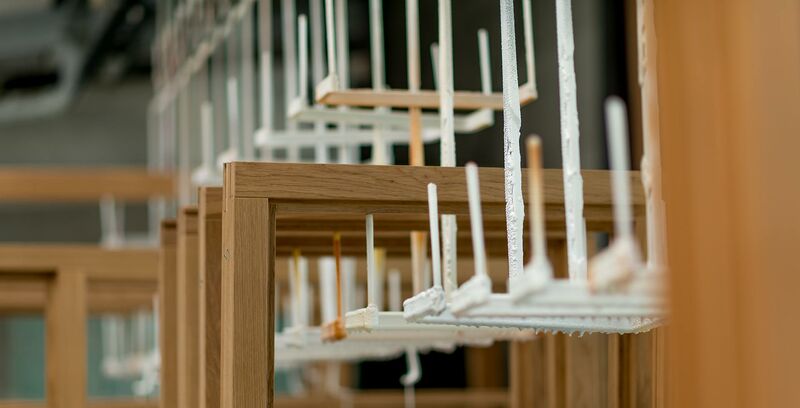 "Today approximately 20% of all windows and doors are produced for smaller regional artisan companies that have reduced or even completely abandoned their internal production. 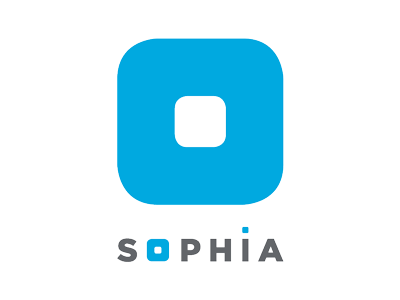 With the new processing centre, we hope to increase this percentage and acquire new partners." The new WinLine 16 NC multi-centre is ready to do its job, as is fitting of a modern manufacturer of windows and doors whose history is based on an artisan tradition but who is ready for the future. An important decision, considering the investment of approximately half a million Euro: "I admit that this new purchase gave me some sleepless nights," remarked Michael, "but I'm increasingly confident that it was the right thing to do." For all intents and purposes, the new machinery now represents a milestone in the company's history. The impressive technical characteristics of this innovative multi-centre gave the manager the serenity he needed: in fact, this machinery makes it possible to load up to 30 pieces at the same time and produce more than 200 components in each shift according to composition, form, and material, as well as easily create mortise and tenon joints. All with the greatest accuracy. 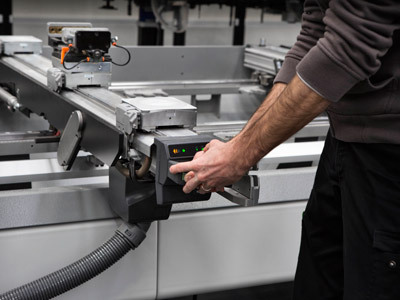 "WinLine 16 is perfect for medium-sized companies that wish to replace their inflexible production lines in order to increase productivity," stated Michael, who is counting on another important specialization as well. In fact, the multi-centre is also perfect for the creation of arcs, borders, and special features. As compared to the past, the manufacture of rounded windows and arched doorways has now become routine, with the search for functionality, which is still fundamental, now accompanied by a focus on aesthetic aspects as well: "Construction clients have very specific demands as compared to before, both in terms of design and execution," confirmed Michael. "Custom windows and doors are increasingly requested: thanks to the rapid stages of production, clients benefit from higher quality with an excellent relationship between price and technical characteristics, and architects and designers can count on a reliable delivery time during execution their project." The decision to acquire a high-tech multi-centre like the WinLine 16 doesn't only satisfy the heightened quality standards of Fensterbau Leopold, but also helps to solve the "logistical" issues associated with the fact that a small team of people is handling all incoming requests and, ultimately, easily exhausting their capacity. Michael would be happy to augment the company's work force through new hires, "but it's not easy to find qualified employees, especially in the artisan sector and in rural areas." It's easy to understand, therefore, why the multi-centre, the first of its kind to be installed and put into operation in Europe, deserves such a warm welcome from the roughly one hundred partners, clients, and friends who, this past April 1, toasted the installation of the WinLine 16 which, for Fensterbau Leopold, represents another step towards Industry 4.0 and the automation of extremely personalized artisan processes. 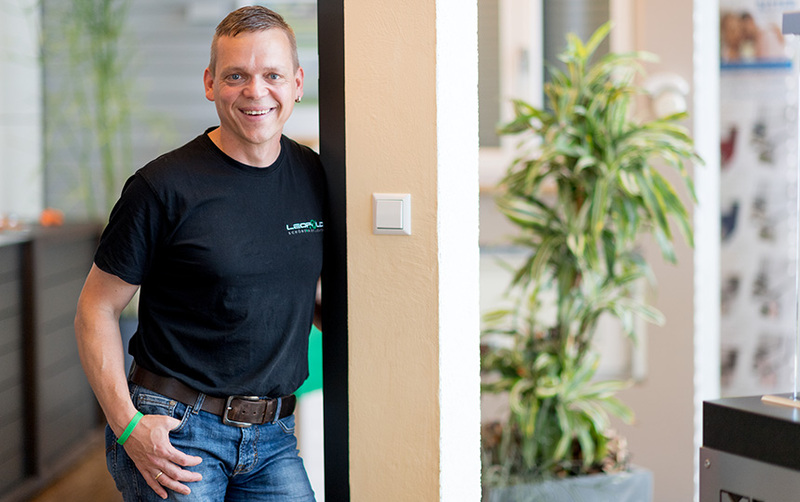 "We are now one of the most modern manufacturers of windows and doors in all of Germany, if not all of Europe," stated Michael with satisfaction, happily aware that "it is currently difficult to produce a window more precisely or quickly." Such cutting-edge technology certainly deserves a major celebration. WinLine 16 is perfect for medium-sided companies that wish to replace their inflexible production lines in order to increase productivity.